Spinal decompression for lower back pain offers the chance for a lasting cure without ongoing care or surgical intervention. The power of this simple statement is amazing and gives many patients hope that they can indeed recover from lumbar dorsalgia without facing the horrors of spinal surgery. While nonsurgical spinal decompression is a great therapeutic option to consider, there are limitations and some degree of controversy surrounding treatment. We at The Cure Back Pan Network are always trying to seek out and report on all the therapy options available for suffering patients. When we first learned about modern computer-controlled spinal decompression, we broke the news immediately. We have been following this industry intimately for more than a decade and are surely experts in its practices and benefits. Sadly, we also know the great limitations of care and must report these shortcomings, as well. This resource section provides deep coverage of all forms of spinal decompression for lumbar pain syndromes. We will look at each individual system in independent articles and analyze the effectiveness of these decompression systems for a wide range of diagnoses. If you are searching for a potential cure for lower back pain without surgery, then spinal decompression might be the perfect treatment path for you. When we are talking about spinal decompression in this section, we are referring to nonsurgical varieties of care and do not include surgical vertebral canal decompression techniques, such as those used during laminectomy surgery. This is a topical section based completely on noninvasive care using specific devices and practices. Surgical methods of decompression of nerve roots and the spinal cord can be found in our section covering lower back surgery. All forms of decompression therapy seek to use traction to gently separate the spinal bones, restoring lost intervertebral disc space and proper movement to the spinal joints. Traction can be applied using different techniques, including weights and pulleys, inversion, manual pressure or computer-controlled systems. Although the antiquated uses of extended duration traction amount to actual torture, the modern versions are capable of actually permanently solving many pain problems at their source. Nonsurgical curative care is rare in the back pain treatment industry, so spinal decompression is certainly a very special and worthy-of-consideration therapeutic option. VAX-D for lower back pain was one of the first modern decompression systems and remains a viable option today. Learn all about vertebral axial decompression therapy. Accu-Spina for lower back pain is a quality machine that can be used to treat a range of disc and joint problems effectively. Antalgic-Trak for lower back pain is another newer system of decompression that provides a unique positioning for the patient during treatment. 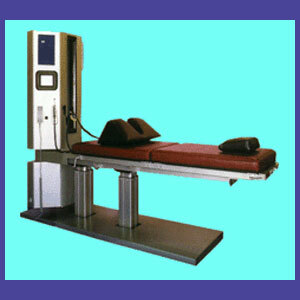 DRX 9000 for lower back pain is the first widely accepted form a decompression used to treat specific areas of the body and a diversity of causative conditions. Cox Technic for lower back pain is a chiropractic traction technique that can achieve good results in a short time span, with affordable treatments. Lumbar spinal traction is a much misunderstood practice and some forms of long duration traction are still used worldwide, often at much detriment to the patient. Inversion for low back pain is the only home-use practice that provides spinal traction. Is inversion indicated for your pain and will it provide a potential cure? 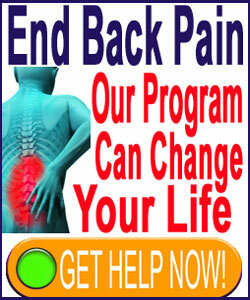 The major benefit offered by virtually all systems of decompression is the possibility of enjoying a real and lasting cure without spinal surgery. Decompression is noninvasive and nonpharmaceutical. Treatment using decompression systems are finite in duration, ranging from a few days to about one month’s time. Treatment can be resumed in the future if pain recurs and treatment does not preclude a patient from seeking any other type of care in the future, including spinal surgery. Most decompression systems are rated as being moderately to highly effective for reducing or eliminating pain from diagnosed herniated discs and degenerative disc disease. Most also demonstrate less effectual statistics for relieving facet joint pain and other spinal joint pathologies. On the downside, decompression can be very expensive and is rarely covered by health insurance. The treatment is not effective or indicated for many diagnoses and in our opinion, is best utilized for treating verified pathological disc issues only. Additionally, particular decompression systems are limited in the anatomical areas they can treat, making some patients out of luck when seeking care.